Yamamoto’s printed circuit board manufacturing facilities in Japan and China provide a wide range of support from initial prototype through production ­ all facilities focus on high product mix in volume production across a wide range of technologies from the industry-common to the next-generation challenges. Yamamoto Mfg. Ltd. began in 1945 in the watchcase-metallurgy business and successfully built this business in Japan, Korea, and China. In 1968, Yamamoto parlayed their metallurgical and plating expertise into Printed Circuit Boards with an initial plant in Tokorozawa Japan – Yamamoto’s initial foray into Printed Circuit Boards was fueled by a large contract in 1968 with IBM Yasu Japan and research and development projects with several leading Japanese OEM’s. 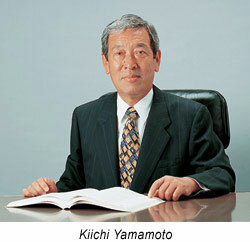 An additional Advanced Technology factory was opened in Honjo Japan in 1985 and further Expanded in 2001. Yamamoto also has new PCB factory in the Guangdong Province of China that opened in 2008. In Japan with two Advanced Technology factories and two Drill-Plating Support facilities with over 700K sq. ft. of manufacturing space along with our manufacturing Facility in China, Yamamoto is well positioned to support all printed circuit board technology levels worldwide without ever sacrificing quality.